Our galvanized steel and rubber dogwalk is designed for maximum stability and longest life, looking closely at the smallest details in fabrication. Adjustable in four heights (120, 102, 82, 65 cm). New feet design to achieve maximum stability whichever surface they are on. The middle foot in the ramps provides great stability for every height. Hot galvanized steel guarantees resistance under extreme weather conditions. 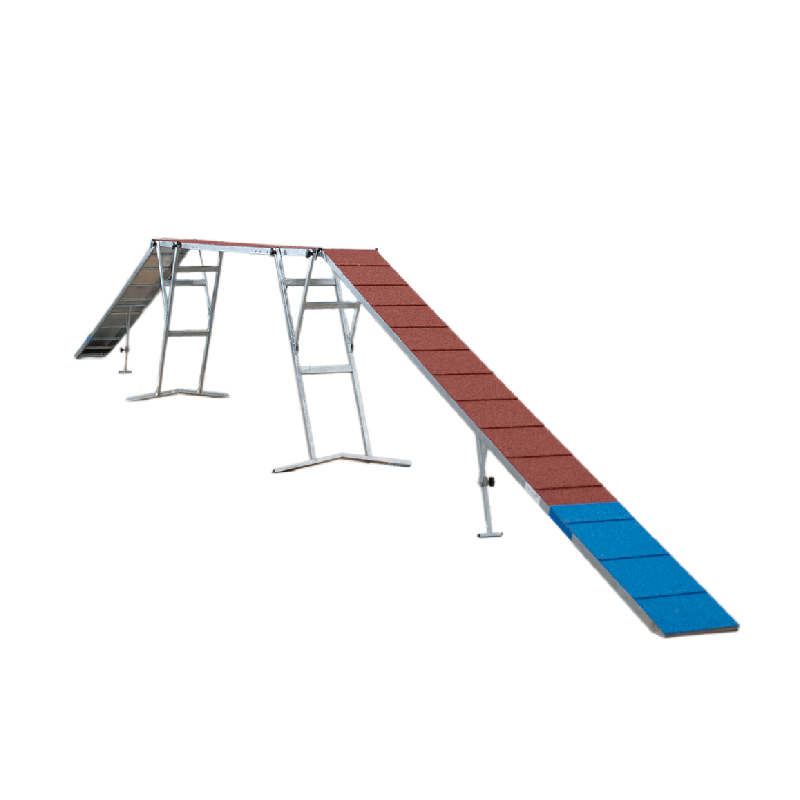 This obstacle is built according to the measurements and specifications of the Agility FCI 2012 regulations. We are official distributer of GALICAN equipment in Slovenia, Croatia and Serbia. It is also possible to order any piece of equipment from other European countries (Spain, Italy, France and Sweden excluded). OUR STUDENTS can always order equipment with 5 % DISCOUNT. Be sure to FOLLOW US, to be "on track" with all the new products and special monthly offers!